Oh Happy Day! I got to sleep in! No volleyball tournament, but a basketball tournament that was in town and my son didn't have to play until 12:30! 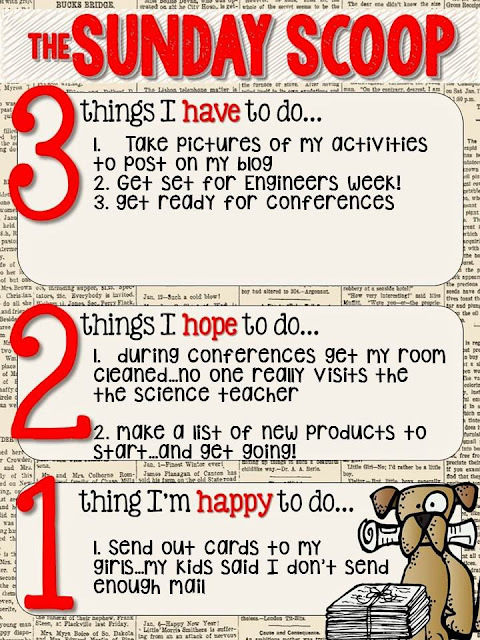 It is Sunday...time to plan out the week! Here is the Sunday Scoop! It is an exciting week for STEM teachers! It is National Engineers Week! 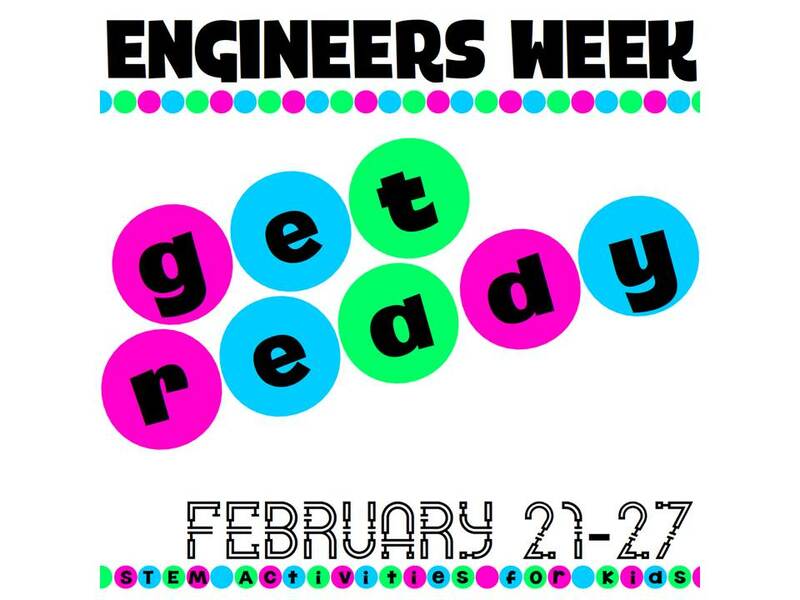 Check out STEM Activities For Kids for great ideas, freebies, and giveaways all week! This is a great site for finding simple STEM ideas...fun activities that showcase problem solving and critical thinking skills and more! As a STEM/Science Teacher I teach over 400 K-5th grade students! It is conference week...and I don't always get too many parents stopping by. So this year, I am setting up a STEM Maker Space Station right outside my door to lure them in! If they don't show up...I get to clean up my room a bit. There are days that I have 12 lessons out in my room as I prepare and prep for the week ahead. It can get a bit busy! I just posted two new products that I finished this last week...My first pack is STEM Construction Stations. We are building on to our school so as a true construction site, I am connecting real life building to our classroom STEM labs. Second pack is preparing me for STEM Easter Stations. I am very excited about both, but now that I am finished I have to make a new list of projects that I would like to tackle next! I am excited to send a fun note to my girls when it isn't even a holiday. I am not going for mom of the year, but I love to make them happy. I am so lucky to have my family!